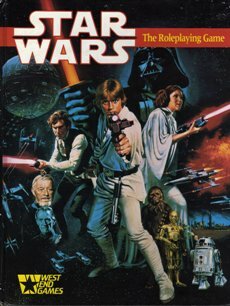 A follow up to yesterday's post regarding Star Wars D6. 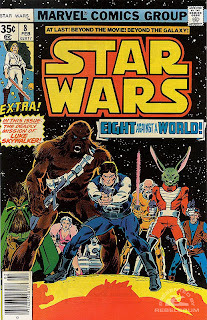 While I did mostly miss out on the coolness of Star Wars D6, I was a big fan of the Marvel Comics Star Wars run, particularly the earlier stories...featuring Jaxxon, and Valance and the later stories with the wicked cool Nagai! 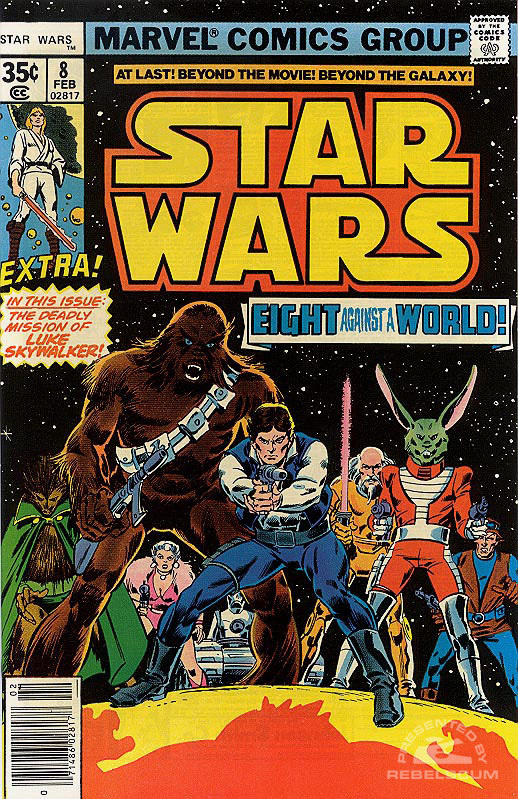 Here is a great Web-site featuring original art, D6 stats and a whole lot of love of the Marvel Comics Star Wars run. 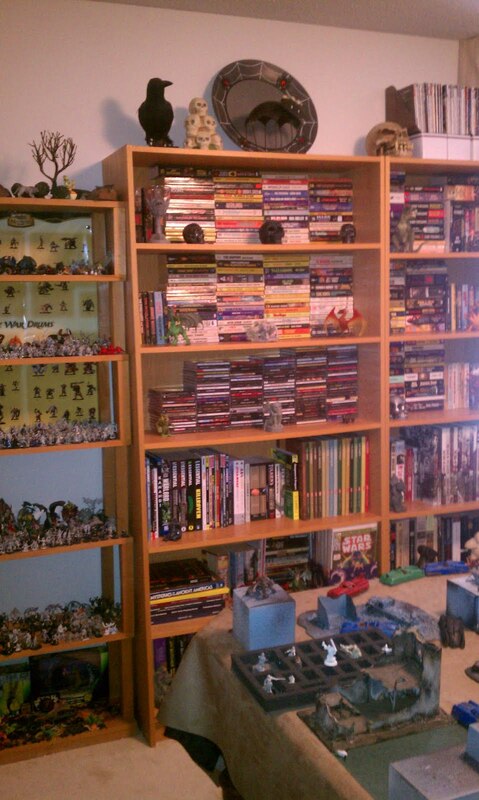 So without further ado I bring you The Home of the Lost Star Warriors! 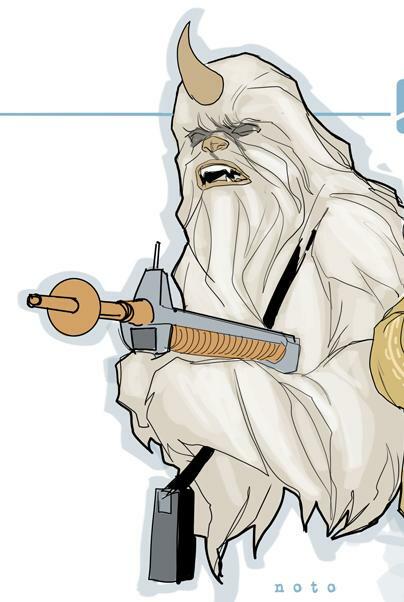 Star Wars D6...Sorry I'm late! After my great finds Saturday, my wife had a much easier time getting me out and about to do some antiquing/shopping yesterday. For the most part we didn't really find much of interest, but we spent a pleasant day together. 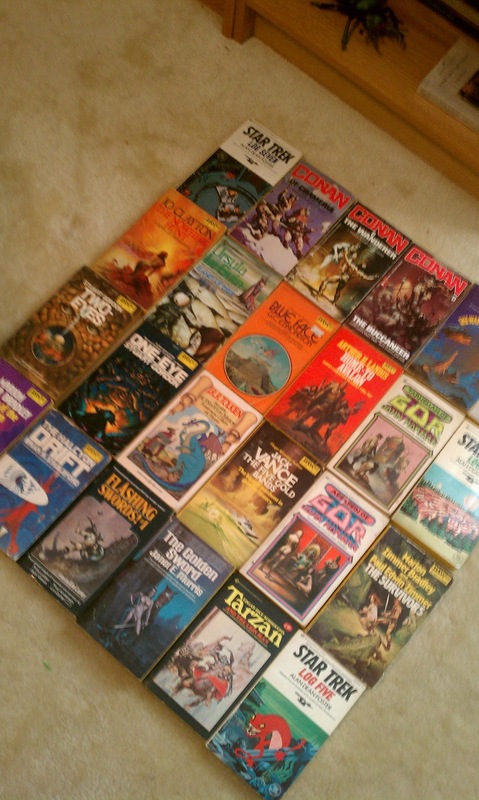 Late in the day, I think she felt sorry for me, as I had eagerly hoped to score more Sci Fi novels from yesteryear, but had so far come up empty handed. So she suggested we stop at an out of the way little book store, one that I had forgotten about (its quite a drive from our normal haunts). I didn't expect to find much, last time I was in there I didn't find anything of interest to me, but I figured it couldn't hurt so we went inside. Tucked in a back corner behind some unrelated books I found this!!! They were just a few bucks for both of them so I snagged them. 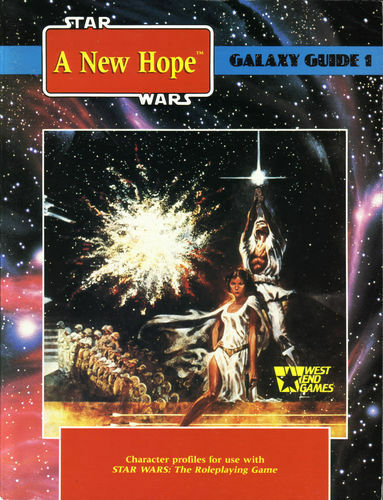 I've posted before that I had very little exposure to Star Wars d6, I was starting college when it first came out, and had taken sort of a break from gaming at the time and was focused on advanced scholarly pursuits (translation GIRLS). I think I played it in a friends game once or twice. Reading this last night I realized this is a sweet set of rules. I particularly like the starship combat, simple yet captures the cinematic feel of the movies. I had picked up Mini-Six awhile ago, but my Gamer A.D.D. shifted me in other directions. This has me thinking I need to give D6 another look. 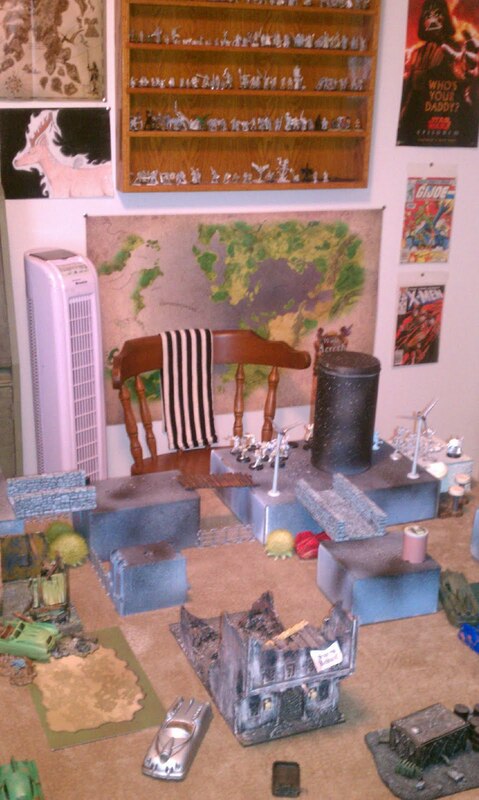 I love to mix and match stuff in my Campaigns and with D6 it seems like a breeze to do so. Plus, there are a TON of free resources out there for D6. They've even made the rules Open to the public, pretty cool. Anyways just thought I'd share. 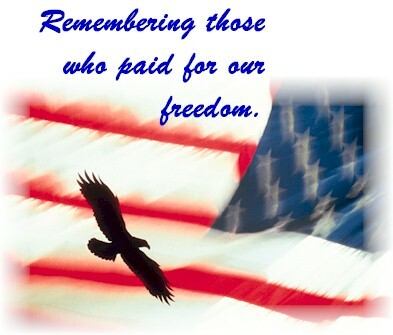 As you go about your day of family, friends and barbecue, stop for a moment and think of those who gave the ultimate sacrifice so that we can enjoy the freedoms we have today. 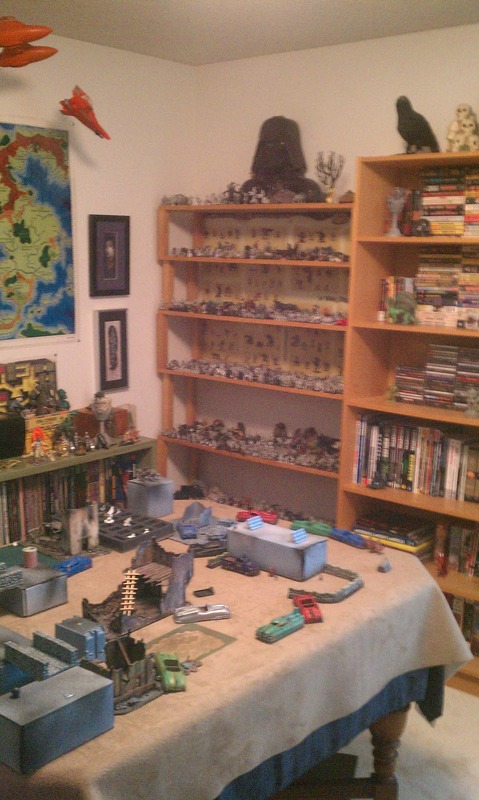 Then she casually mentioned over breakfast about ESTATE SALES...oh...dear God...No...what to do? Panic!! I blanked...I had no response, she already knew I didn't have anything major planned for the day... AARGH! ok ok...we'll go to a sale or two, putter around a bit then we can do something else...ANYTHING else! So being a good husband, I agreed! She then says..."you know "our" favorite antique store? We are near it by chance"..."huh".. and it's going out of business this weekend!" Oh DEAR GOD!!!! So being a good husband I drove to the store...it was PACKED with people. So we went inside. While she shopped I wandered around...listless, I mean we'd been on the road for days? Hadn't we?? Dehydration was setting in...maybe there was a coke machine in this place...I set out to find a coke machine or a water fountain or maybe a rusty water faucet in the back alley! Then I spotted them!!! 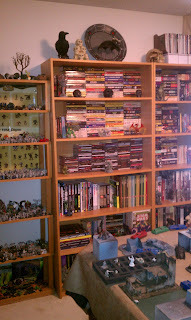 a section of BOOKS!! and in amongst the romance novels and self help books I spotted them!!! 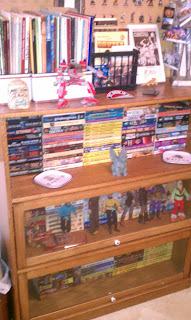 Conan, Star Trek and best of all several Yellow Spined SCI FI DAW's!!! in Great condition!!! a whole stack of them!! FOR CHEAP.. .50 cents each!!!! I looked around...ready to deck anyone trying to come up and loot my find!! They were mine all mine!!! So I ended the day tired but with a stack of great books for my Man Cave and Brownie Points with the Missus for spending the day shopping! The moral of this story? Being a Good Husband Pays off!! Woo Hoo!!! I'll take two! Everyone needs a spare ape mask right? Nuclear Sunset; New Setting for Mutant Future! 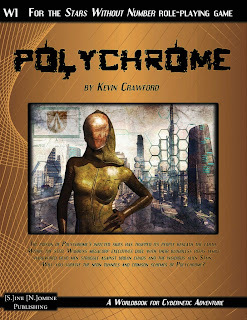 Just learned that Vigilance Press will soon be releasing a new setting for Mutant Future dubbed : Nuclear Sunset! 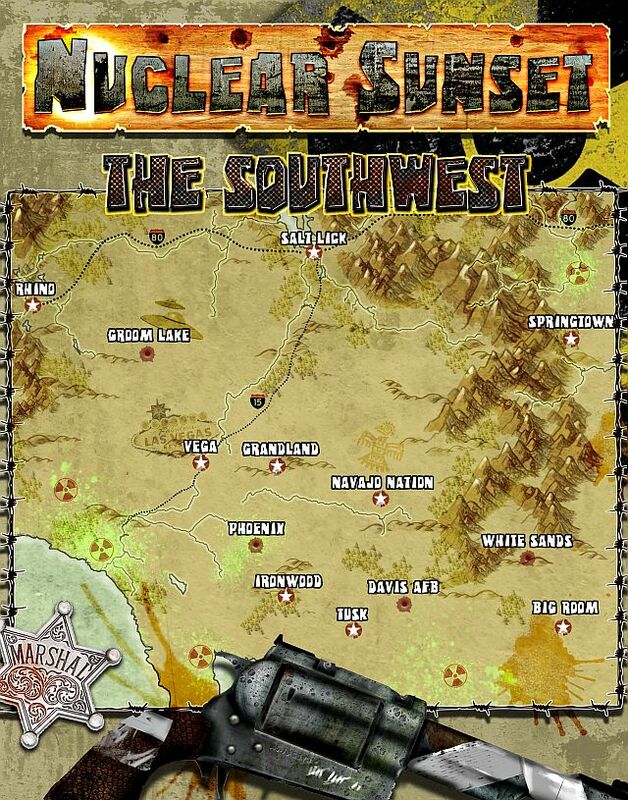 According to Vigilance,"The Southwest sourcebook contains location descriptions, ruin descriptions and numerous organizations detailing the post-apocalyptic Southwest, along with a boatload of adventure hooks." Page count will be in the 15-20 page range. Price will most likely be $1.99. 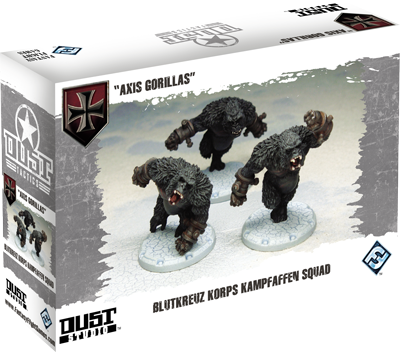 Well they are actually Axis Gorillas, but I like the alliteration of Axis Apes better! Anyways, check out this expansion to the Dust Tactics game coming soon from Fantasy Flight Games. Wow these, look freakin' Awesome to me! Perfect for Mutant Future, The Mutant Epoch, or all kinds of other gaming goodness! 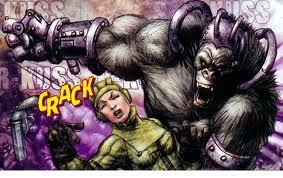 Have a great Simian Saturday!! 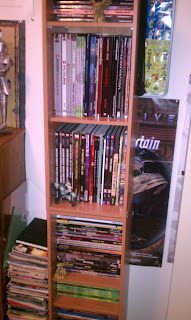 I love D&D, well ok guess I need to clarify that statement, I love D&D/AD&D pre-AD&D 2nd Ed., I enjoy AD&D 2nd. ed., had fun with 3.0 but have moved on and probably won't date er.. I mean play it again, wasn't in the mood for 3.5, can't stand 4.0, enjoy playing Pathfinder with the right group (ooh shiney!) but won't DM it... Sheesh, when did gaming become so confusing! Remember when saying you played D&D created a specific image of a shared gaming experience? 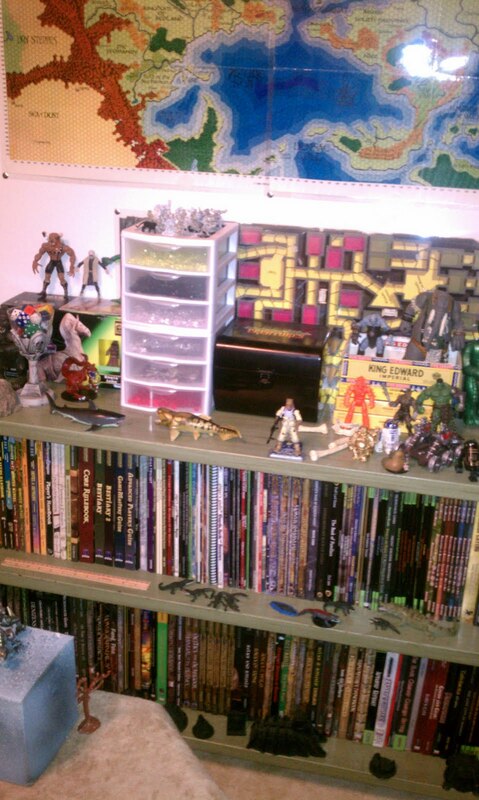 Now take Gamma World, as I've said before, I actually GM'ed Gamma World before I ran D&D. 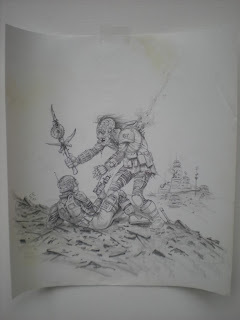 My favorite edition of Gamma World was the 4th Edition, no not 4E, but the actual 4th Edition of Gamma World, you know the one where they first tested doing away with Thac0? So if I say let's play some 4th edition Gamma World, people think of the latest release (4E), with cards, and cockroach yetis?!! Not what I'm talking about playing at all. While some would say the OSR confuses the issue even more. I don't think this is the case, for me one of the cool things about the OSR Movement is that I can get back to that shared gaming experience, without having to overly elaborate. 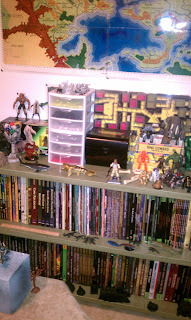 So when I say Labyrinth Lord, or Swords & Wizardry people know what I'm talking about, same thing with Mutant Future. I know things change, but I learned the hard way, posting an add for players looking for Old School gamers without elaborating further or including some OSR nomenclature means all kinds of different things to different people. Heck I was told the other day that 3.5 is old school gaming, wow... I'm getting old. 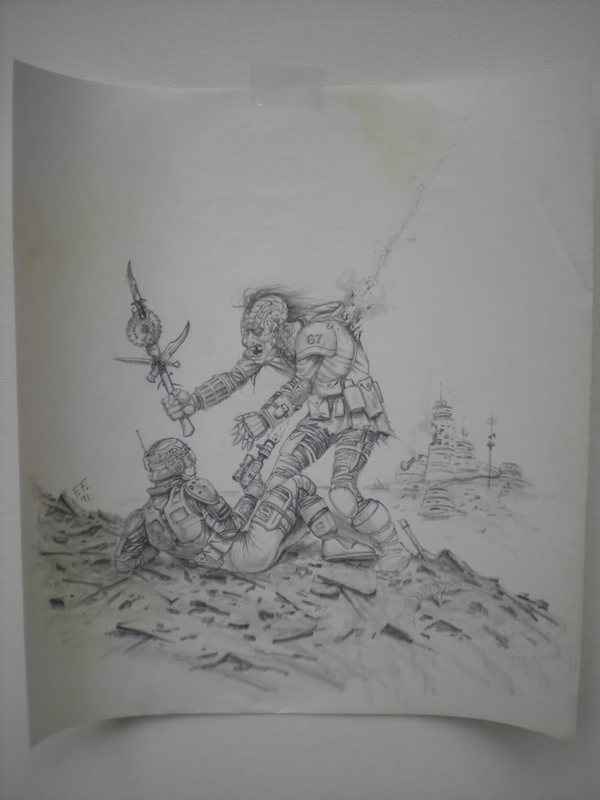 Found this cool bit of original Gamma World artwork by Fred Fields over in Kevin Wirsing's Comic Art fan gallery, please, note some of the other pictures on his site are NSFW. Oh, and please don't think I'm trying to start an edition wars battle on my blog, that's the last thing I'm interested in, just felt like doing some pointless ranting for a bit today. - Good Gaming to All!! Old School and New School Alike!! After alot of time and effort, and scoring some great deals on shelves, books, etc... 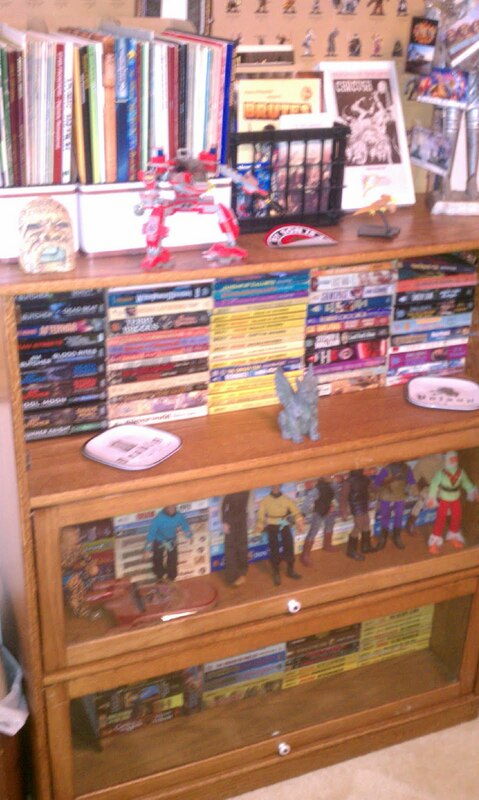 I'm finally "done" with my Man Cave...well your never really done, are you? But anyways I'm happy with it. Now to work some gaming into my schedule!!! So here is the very late write-up of Session 3 of my Mutant Future Campaign. After more travel, still slowed by the unconscious Bishop, the party heard noises around a ruined building up ahead, and smelled something that smelled like an unwashed beast. Whatever was ahead of them the heroes were at least downwind from it. Creeping up as quietly as possible, Tink and Sherman spotted a Goatlord. Natorg with his terrible eyesight couldn't see much of anything beyond 50'. The Goatlord was probably the one that had ran away from the big fight the night before. Natorg, after consulting with Helena the dancing hula goddess, came up with a plan. He'd climb up the building and get the drop on the Goatlord they'd spotted, they figured there were two over there from what they could see and hear, Natorg had a poison touch attack he would use, hoping to drop one of the Goatlords while Tink and Sherman would attack from the side. Tink and Sherman moved into position as Natorg quietly climbed the ruined building and crept across the roof towards the Goatlord below. As Natorg got into position, the smell of unwashed beast grew stronger, peering below, he realized they may have made a miscalculation, there were three Goatlords below, one looking like the one that had fled the big battle the night before, BUT there was also another one of those reptile hounds, as well as, a very large Mutant Boar, that was apparently being used by the goatmen as a mount. It was currently unmounted, but was wearing a saddle and harness. Realizing he might be spotted at any minute, Natorg opted to continue with the plan with a slight change… He leapt off the building onto the Riding Boar's back attempting to attack the beast with his poison touch mutation. While his poison attack was unsuccessful, he did land square on the boars back spooking the beast! Natorg held on for dear life as the enormous boar charged out, knocking over a Goatlord and the repti-dog. Tink and Sherman launched their attack, surprised by the boar running amuk but not wanting to lose the advantage of surprise, they quickly attacked, the injured goatman was taken down quickly, and the repto-dog driven back. Natorg somehow managed to get control of the Battle Boar, and steered it back into the remaining Goatlords, apparently they hadn't treated the beast very well and it was all too happy to tear into them with an almost gleeful ferocity. With Natorg leading a mounted attack, the party quickly eliminated their foes. Only the scaley hound survived wounded but alive it fled into the ruins. They looted the Goatlords, but were disappointed with the minimal loot that they found; this group was obviously a scouting party that had just met up with the lone survivor of their raid on the Goatlord base. Natorg, spent a bit of time bonding with the boar, he fed it some rations and gave it some clean water. Natorg quite quickly found he had made a new friend. He named the mutant boar Fido. With renewed vigor they set back out on the trail. Fido even allowed the still unresponsive android Bishop to ride on his back; this sped up their time considerably. While they were indeed making much better time now, Bishop being incapacitated had slowed them down considerably, the wheelchair had helped, but having to use it had required them to take a slightly different route than the one they had previously taken, the one Sherman had mapped out both in his head and on paper. Tink wasn't happy either, they had covered the manholes and other sewer access points before on their way to rescue Brother Thomas, now they were in unfamiliar territory, Trog Territory and nightfall was fast approaching! Maybe it was just their imagination but they could swear they could hear rustling from below their feet. They scanned about desperately for a suitable place to camp (hide) for the night. Even Fido was sniffing the air, his ears laid back. Finally they spotted an old church that seemed to be fairly intact, at least compared to the surrounding buildings. Even a bit of the stained glass was still lingering in the windows of the old house of worship. Quickly they went inside; luckily the main front doors were large enough for even Fido to fit through, while he didn't rush inside he wasn't too hard to convince to go inside. Whatever he smelled outside in the coming night air definitely had him spooked. They hurried inside and closed the heavy doors behind them, desperate to put something between themselves and the night dangers outside. As they entered a few rats scurried about. It seemed at some point someone had tried to fortify the church, pews were stacked against the windows, and some windows were even boarded up, though it all looked to have been done a very, very long time ago. They looked about in the gloom. Fido couldn't go far into the old church and Natorg spoke soothing words to the beast, calming it. Both Tink and Sherman were impressed with how quickly Natorg had bonded with the beast. Battle Boars were known for being temperamental and moody under the best of conditions, yet Fido and Natorg were already becoming fast friends. Tink noted the main altar of the church was not only intact but remarkably clean. Not a bit of dust or debris was around it. While rat droppings were visible all about the old church none were near the vicinity of the old altar. It even appeared to have been swept very recently. Sherman found a door leading below to the cellars, opening it he saw only darkness below, though the sounds of rats were quite apparent both below and in the walls. Brother Thomas looked about the ruined church and muttered something that sounded like…Catholic…but he didn't elaborate and the others were too concerned with their current situation to ask what he meant. Dropping one of the glowsticks, they had "acquired" from the Goatlords, into the dark cellar they saw the stairs below had collapsed and the floor down below was swarming with Rats! A shudder went down their spines. Tink and Sherman discussed their situation, darkness was upon them and they could hear the distant baying, howling of Trogs carrying across the night air. While the rats could be a problem, they knew that to travel at night in the heart of Trog territory would be suicide. Even with Fido, they'd never make it. The beast couldn't carry them all anyway and Bishop while showing some signs of improvement was still unresponsive. They placed the unconscious android into a small closet area (Brother Thomas said something about confessional??) and they prepared for the worst. They convinced Brother Thomas to hide in the altar, knowing if he was lost the whole mission would be in vain. Natorg managed to turn Fido around so that he faced the large entry doors. They tried to barricade the entrance further, but knew in their hearts if the Trogs caught their scent, they'd be hard pressed to keep the nocturnal mutants out. As they did all this, the sounds of the Trogs grew louder, Fido snorted nervously, the beast seemed to have quite an enhanced sense of smell, and whatever was about was spooking the large boar. Tink in spite of their circumstances was curious about the altar. Someone had maintained it…but why? He noted there was an offering plate on the altar. He absently fiddled in his pocket found a few old coins and placed them in the offering plate. Sherman thought the gesture odd, but had bigger concerns. They both then did their best to bar the cellar door below, fearing what might come up from below, while they hoped to somehow make it through the night without incident. That was not to be, had Fido with his beastly animal odor not been with them perhaps the Trogs might not have found them, or maybe it made no difference. 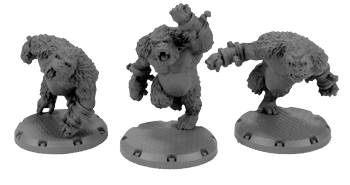 Regardless, the Trogs found the small band of heroes, the heroes shuddered, coming from all across the ruins, they could hear howling, scraping and clawing. Fido snorted nervously, wanting to bolt but Natorg kept the beast calm. Sherman risked a peek through a crack in the ancient walls of the old church and spotted several of the creatures skulking about just outside, with even more visible across the street. Many were pouring out of a manhole just a short ways away. It wouldn't be long now! Inspired by my earlier post today, I thought I'd work up the Chewie/Mugato into a race for Stars Without Number. Thought some of you might get a kick out of it. So without further ado I present the Woogatu. 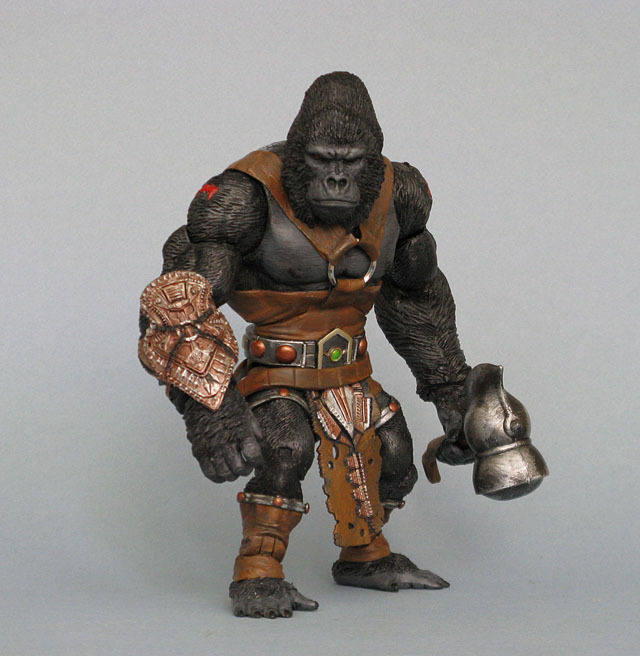 "Fearsome simian warriors, as brave as they are strong"
The Woogatu are a tall humanoid race of simian ancestry. They are stronger than the average human and are covered in white fur; also they have a rhinoceros-like horn in the center of their forehead. The Woogatu originally hailed from Neurakash; a distant temperate world of vast ancient forests and rolling hills. In the past they were divided into two groups; the People of the Tree Villages (Tree People for short) and the Hill People. The Hill people were more savage than the Tree People and possessed a poisonous bite that their Tree dwelling kin lacked. Immediately the Terrans saw the potential of the Woogatu race, not as friends and allies, but as pawns, tools, and slaves. The fearsome Woogatu fought back bravely but the Terrans skillfully used the ancient hatred between the Hill and Tree people against each other and this combined with the Terran skill with psionics and higher technology came to dominate the Woogatu race. The Hill People too savage to be effectively controlled and too dangerous with their venomous bite were in a few short years rendered virtually extinct. The more sophisticated Tree People however, were enslaved and split up, entire families were scattered across the galaxy put to use in mines, shipyards, and other areas. Holding their families hostage, the Terrans even found ways to force these loyal warriors to fight for the Terran cause, these reluctant Woogatu warriors served their Terran Masters for fear that their loved ones, always kept elsewhere, would be mistreated. Then came the Scream….The Woogatu used this to turn on their enslavers, and to try to escape to freedom. Many died during this time, but some survived this dark period. But their race was forever diminished, not numerous to begin with, and scattered across the galaxy with no easy way to reunite with their people. The Woogatu are a very long lived race, some alive today are said to still recall the time of The Scream. However, it is believed that the Woogatu are slowly dying out, the Woogatu mate for life and those that were separated from their mates by the Terrans put all their energy into trying to find their families. Even when this seemed hopeless, they resisted taking new mates and starting new families. Some did so, hence there are still some young Woogatu alive today, but their numbers are small and the galaxy is a dangerous place. One would think that as a whole the Woogatu would have an instinctual hatred of Terrans, some do, particularly the old ones, but most Woogatu judge each individual on their own merits and in spite of their treatment in the ancient past will work with humans that treat them with respect and dignity. Some have even taken on humans as though they were part of their extended family. Woogatu PC's are required to have at least a 17 strength, due to the incredible strength possessed by these humanoids. 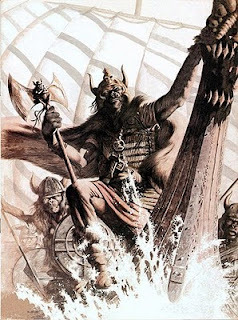 In dire situations Woogatu can gore with their horns, for 1d4 points of damage, but they will only do so in severe need, as this reminds them of the savagery of their Hill People kin. Given their thick fur hide, they have no need of wearing light to medium cold weather gear in terrain that would require such to be worn. Also due to their thick fur they find armor of any kind to be extremely uncomfortable and will not wear it. Woogatu can be found as Mercenaries, Bounty Hunters, Techs and Scouts throughout the galaxy, indeed they have shown a remarkable diversity in their skills and abilities, seeming to only lack in the area of psionics. Pop: Tens of Thousands (Humans and Woogatu) Official population difficult to determine. Neurakash is a temperate world of vast ancient forests and rolling hills. The flora and fauna of the planet are particularly dangerous, many of the world's inhabitants dwell in the higher reaches of the giant trees found on this world. Neurakash is currently in a state of chaos. The Terrans lost their choke hold on the planet during The Scream, and while there is still a significant human population on the planet, they are rapidly descending into barbarism. Many human villages are closer to tech level 1 and day to day survival is a struggle, they fight the fearsome local wildlife, each other, as well as, the Woogatu. The Woogatu (Tree People) are struggling to recover from their period of enslavement by the terrans, but having so much of their population sent off world or killed has left a lasting negative impact on their society and culture, A few rare individuals have managed to return to their homeworld, but those are few and far between. To add to their troubles rumors persist that the Hill People have returned…. 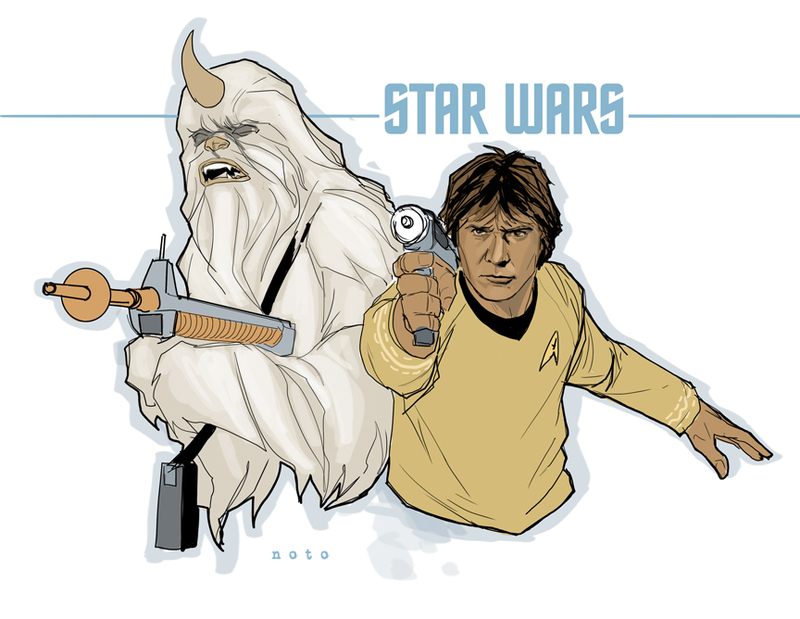 Simian Saturday: Star Trek Wars! 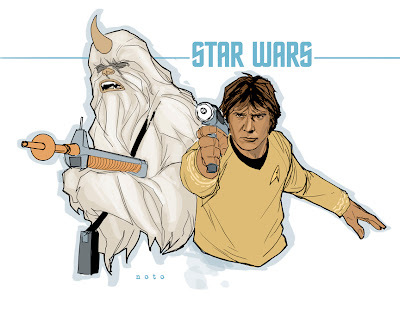 This is the work of talented artist Phil Noto, check out his blog here. Just found out that the latest supplement for the Stars Without Number RPG has been released. 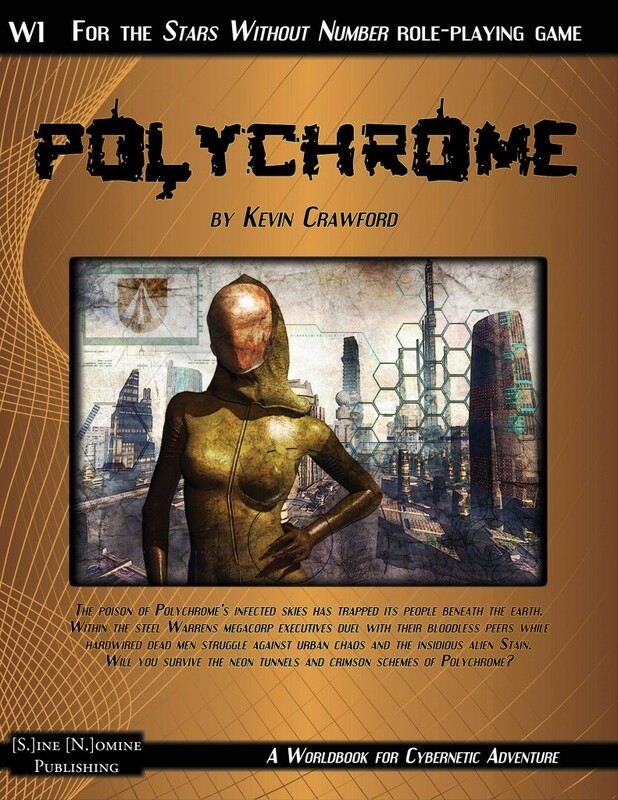 Polychrome: Cyberpunk Adventure for Stars Without Number! It is currently only available in PDF, but a print version will be available later this month! Woo Hoo! Stars Without Number is an awesome game, and I'm eagerly waiting to get ahold of this resource for it! So many awesome games coming out these days, wish I had time to play them all!! I've admitted freely on this very blog that I suffer from a terrible case of Gamer ADD. I'm constantly getting tempted to try out other games, to help me deal with this, I have several notebooks of campaign material that I'm working on at any given time; one for fantasy, one for post apocalyptic, one for sci fi...you get the idea. Anyways, while I continue to read The Mutant Epoch RPG rules, I'm also working on a Sci Fi Campaign setting using the awesome Stars Without Number rules system. 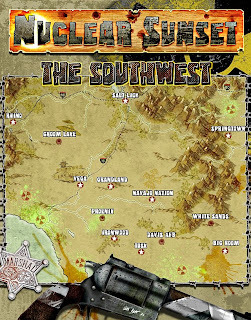 SWN, is an amazing merger of two of my favorite game engines; old D&D and Traveller, in fact I was seriously considering investing in the Mongoose Traveller books until I discovered SWN (whew saved me a bunch of $$), soo to get to the point of this post. While the SWN core rules are great, I'd love to see some more alien races and such, easy enough I'll work up my own or convert some of my favorites from various sources. As the mood strikes me and as time permits I'll post them here. First up is a low-tech race based on a certain character from Marvel Comics original Guardians of the Galaxy series. Centaurians are a humanoid race that very closely resemble terran humans in overall build, environmental preferences and general biology, with a few significant differences. They have pointed ears, are blue skinned, hairless and have a red dorsal fin that goes from the back of their pelvis to the front of their forehead. Factoring in their dorsal fin they are nearly 7' tall. Centaurians have a tribal culture, that in many ways parallels the culture of Ancient Terran Native Americans prior to the European Migration. Their technology is primitive, pre-industrial, with bows and arrows usually being the weapon of choice amongst most hunters and warriors. The native Centaurian language is a system of grunts, clicks, and whistles. Centaurians can learn to speak English, as well as, other languages but it is painful for them to speak it for an extended period without resting their throat. Centaurians lack humanity's diversity with psychic abilities, but there are reported to be some individuals said to exhibit some level of psychic power, in particular they often are of the precognitive, telepathic and/or telekinetic disciplines. Most Centaurians wield a bow, for hunting, defense and war. Their arrows are particularly noteworthy, in that they are made of a rare metal; Yaka that is found only on the Centaurian homeworld. This metal is purported to have certain sound sensitive properties. It is said that a yaka arrow can actually change its direction (but not speed) in response to certain high-octave whistle-sounds that Centaurians can produce. Some human scientists have argued that the Centaurian warriors ability with the yaka arrow is telekinetic in nature and has nothing to do with whistling or sound waves at all. Further research is needed to determine the validity of this claim. But so far humans have been unable to duplicate this ability, Centaurians say humans simply don't know how to whistle properly. For gaming purposes, when a Centaurian uses a yaka arrow and uses his whistling ability to affect the arrow, he is +2 to hit, since the warrior can cause the arrow to zero in on its target and strike more effectively, also for range purposes treat as if fired from an advanced bow. If attacking from a hidden postion their whistling will increase their opponents chance of determining their location. Centaurians require a Dexterity score of at least 14. 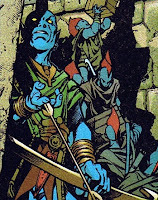 Centaurians tend to be from low-tech tribal backgrounds and most avoid hi-technology, creating a Centaurian with scientific skills and talents should be discussed with the GM prior to character generation, such a character will potentially not have the racial whistling ability to enhance their yaka arrows. Due to their dorsal fin, they cannot wear most armor designed for humans and typical humanoid races. Most Centaurians prefer to go lightly armored, except in the most unusual of circumstances. 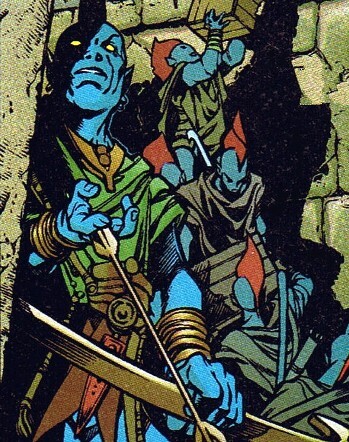 *Centaurians, Yondu, and yaka are copyright Marvel Comics, no copyright infringement is intended. I found this custom action figure posted on the web, and thought hey what if Thor were a Gorilla?? And the Rise of the Planet of the Apes was instead the Invasion of the Asgardian Apes! !